The Sensex and Nifty closed higher in trade today led by a rally in banking and auto stocks. World markets were mostly lower on Tuesday, tracking losses on Wall Street as traders braced for an interest rate hike by Federal Reserve. While the Sensex rose 77 points to 36,347, Nifty ended 20 points in the green at 10,908. The indices logged a negative start today with the Sensex falling 185 points at 36,084 and Nifty losing 52 points to 10,837. 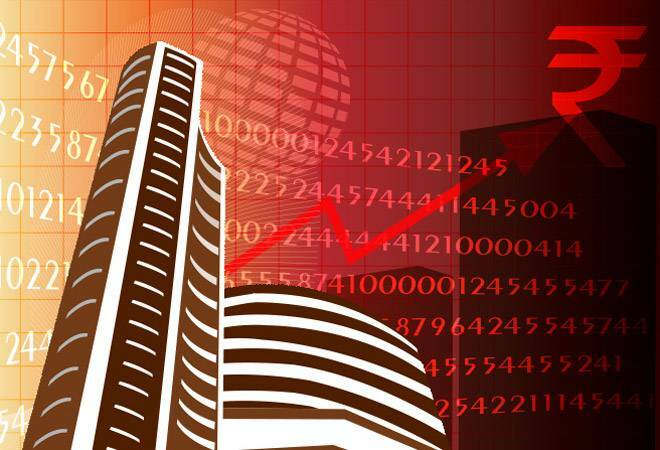 Top Sensex gainers were Sun Pharma (2.96%), Vedanta (1.97%) and SBI (1.85%). Infosys (2.25%), Wipro (1.41%) and YES Bank (1.27%) were the top Sensex losers. Top sectoral gainers were banking stocks with the BSE bankex rising 211 points to 30,382. The BSE auto (139 pts) and BSE capital goods (199 pts ) were other major sectoral gainers. Bank Nifty gained 158 points to 27,174. On the other hand, IT stocks were the top sectoral losers on a strong rupee with the BSE IT index falling 158 points to 14,453 level. The rupee touched a near three-week high against the dollar on Tuesday on lower crude prices and expectations of fewer US rate hikes in 2019 as markets counted down to a crucial Federal Reserve meeting. The rupee was at 70.89 to the dollar, after touching 70.84, its highest since December 7 and stronger than Monday's close of 71.55. Meanwhile, the mid cap and small cap indices closed 0.21% and 0.45% higher in trade today. Market breadth was positive with 1,441 stocks closing higher compared to 1,119 falling on the BSE. The Graphite India stock rose in trade today after Karnataka State Pollution Control Board (KSPCB) renewed the consent to operate its electrode plant in Bengaluru for a period up to June 30, 2020 only with the condition to shift the unit from the existing location. The stock rose up to 3.44% to 877.70 level in trade today compared to its previous close of 848.50 on the BSE. It closed 0.83% higher at 855 level on the BSE. On a net basis, foreign portfolio investors (FPIs) sold shares worth Rs 60.95 crore on Monday, while domestic institutional investors (DIIs) were net sellers to the tune of Rs 76.84 crore, provisional data available with BSE showed. In Europe, Germany's DAX was 0.1 percent lower at 10,765.49 and France's CAC 40 slipped 0.4 percent to 4,781.19. Britain's FTSE 100 index fell 0.6 percent to 6,732.66. On Monday, broad selling knocked US indexes to their lowest levels in over a year. Investors sold almost everything, from technology and retail stocks to steadier high-dividend companies. Less than 40 of the 500 stocks in the broad S&P 500 index finished the day higher. Stocks were set to recover slightly on Tuesday. S&P 500 futures gained 0.3 percent to 2,562.00. Dow futures rose 0.4 percent to 23,767.00. The Federal Open Market Committee begins a two-day meeting on Tuesday. It is expected to raise its short-term interest rate by a modest quarter-point, to a range of 2.25 percent to 2.5 percent a day later.